Are you ready to toast for the new year coming? 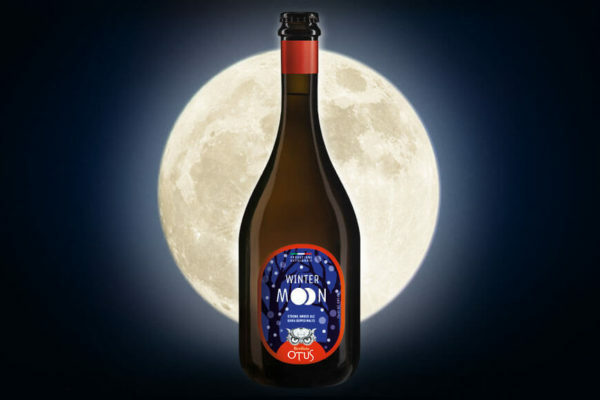 The seasonal beer by OTUS is a sip of winter conviviality. Winter beers, particularly the Christmas ones, are an ancient tradition of some North Europe regions and charm Italian beer-lovers. Perfect for end-of-the-year gatherings, Wintermoon can be drunk while eating or meditating. It conquers the drinker’s taste with sweet and charming hints and amber emotions. Wintermoon is a seasonal beer and testifies the craft beer philosophy of the fresh and “foamy” brewery from Bergamo: to produce beers with a strong and unique character, assuring a high-quality standard. Wintermoon is a Strong Amber Ale following the Belgian example. It is rich in complexity but moderately strong; elegant, complex but balanced, it expresses itself with enchanting malty hints, ending clearly so that sweets hints are balanced.